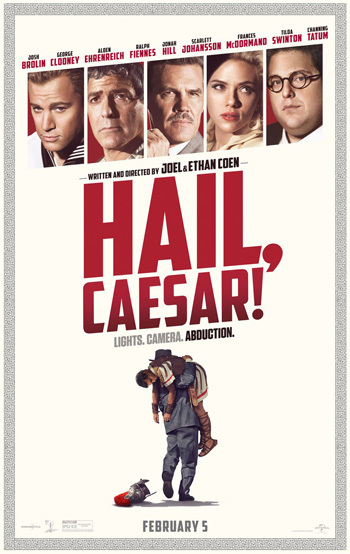 Josh Brolin, George Clooney and Scarlett Johansson star in the comedy Hail, Caesar. Watch the movie trailer below. When studio star Baird Whitlock (Clooney) disappears, Hollywood fixer Eddie Mannix (Brolin) has to deal with more than just the fix. MPAA Rating: PG-13 for some suggestive content and smoking.